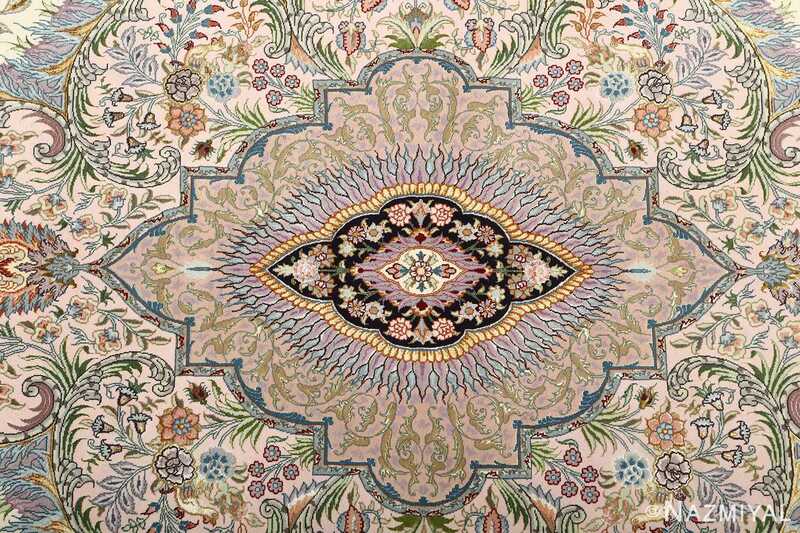 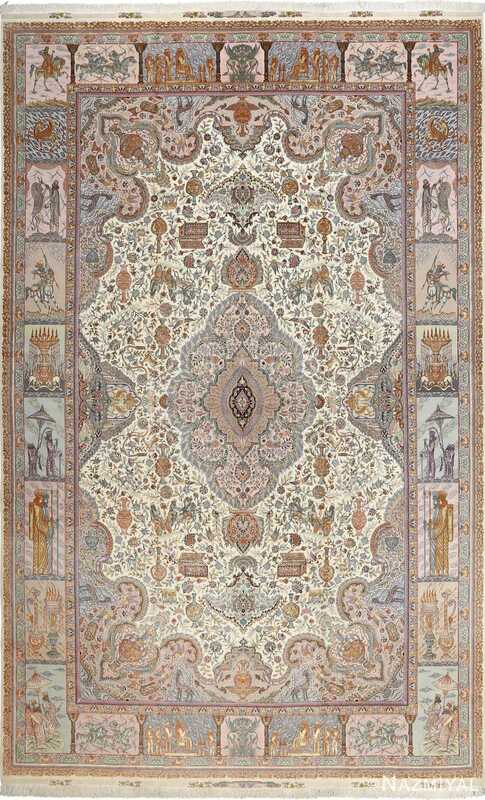 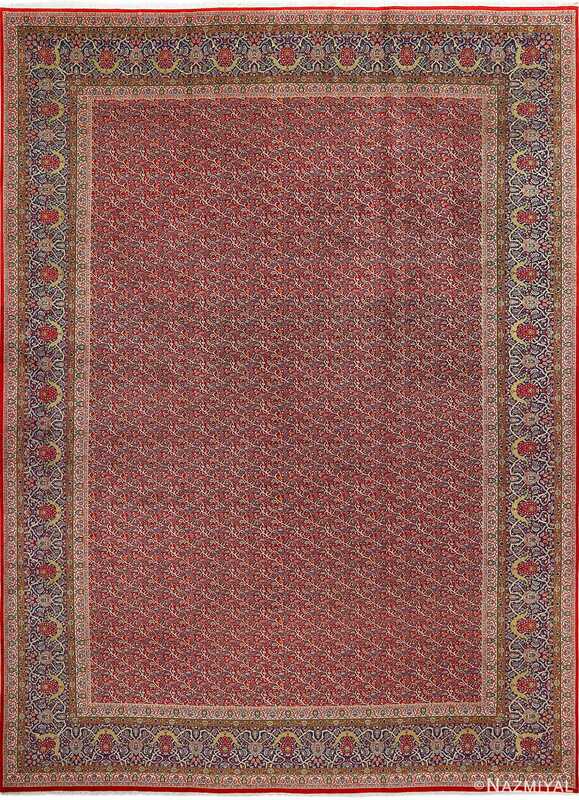 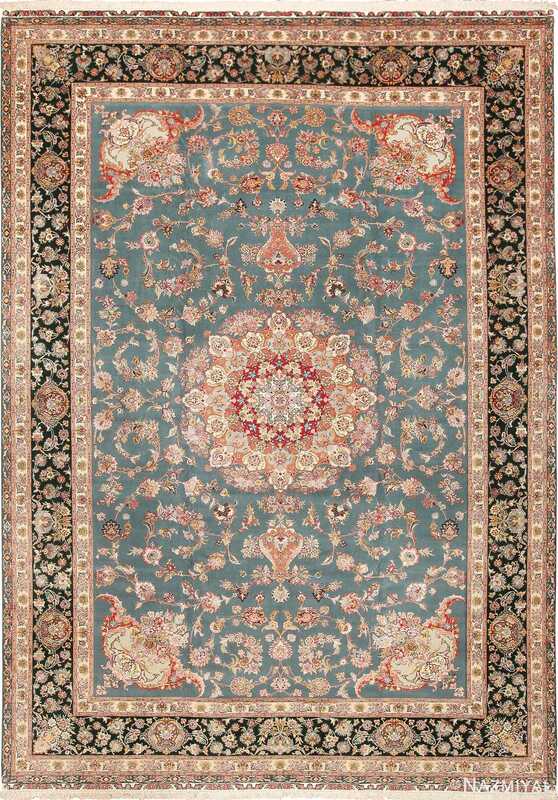 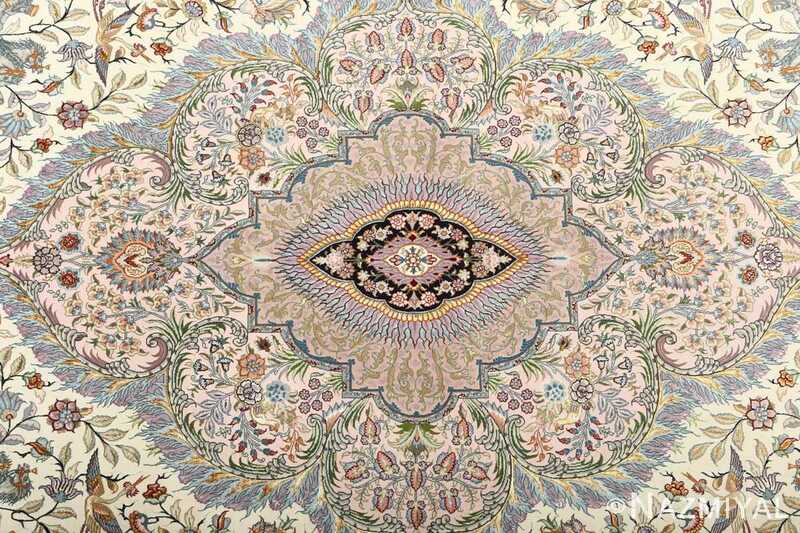 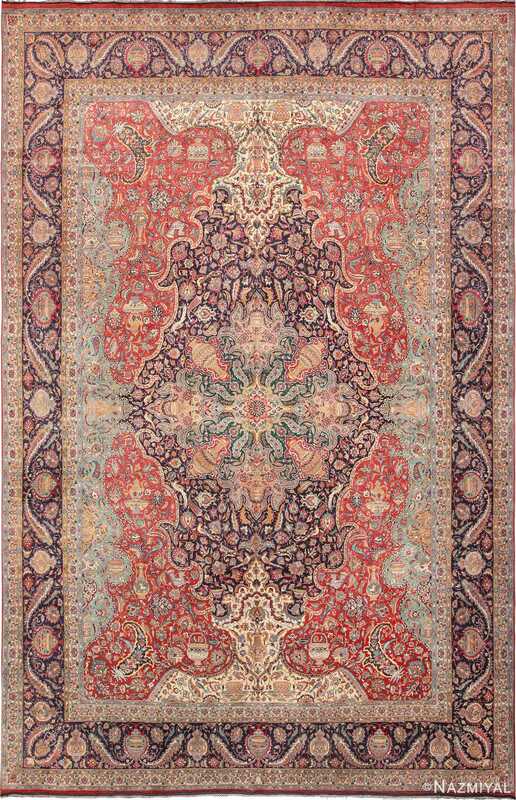 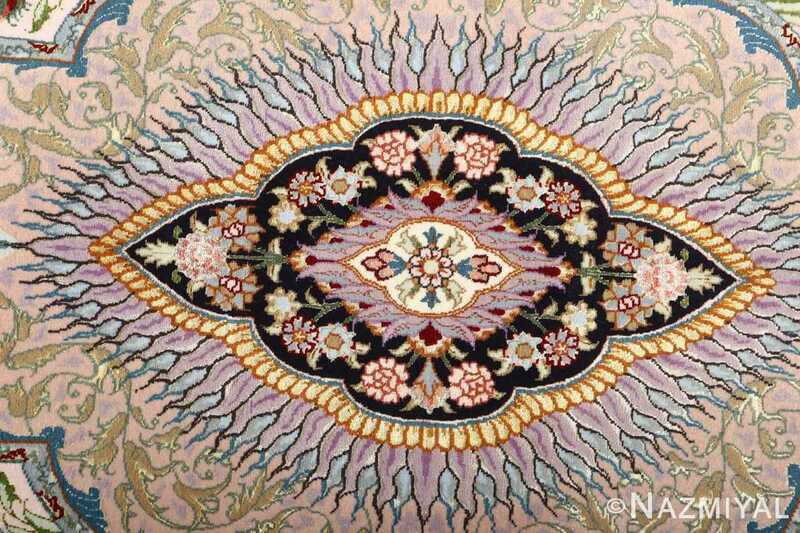 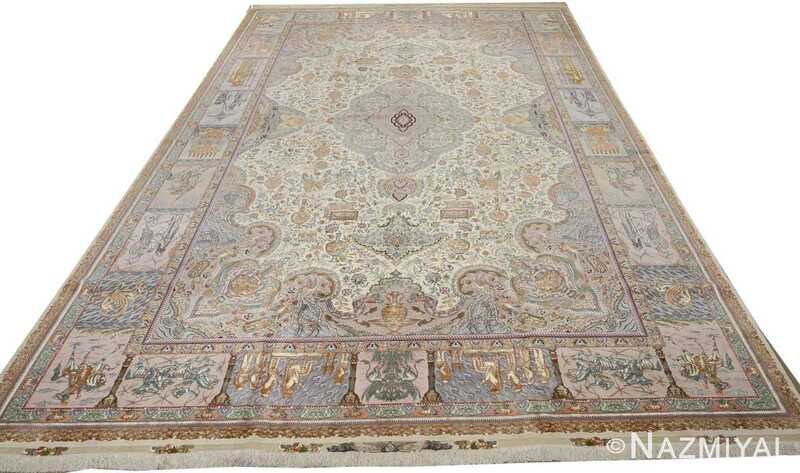 Beautiful and Intricate Fine Pictorial Vintage Tabriz Persian Rug 51070, Knots Per Square Inch KPSI: 550, Country of Origin / Rug Type: Vintage Persian Rug, Circa Date: Late 20th Century – Fine detail creates a rich environment in this vintage Persian Tabriz rug, which is centered with a stunning medallion. 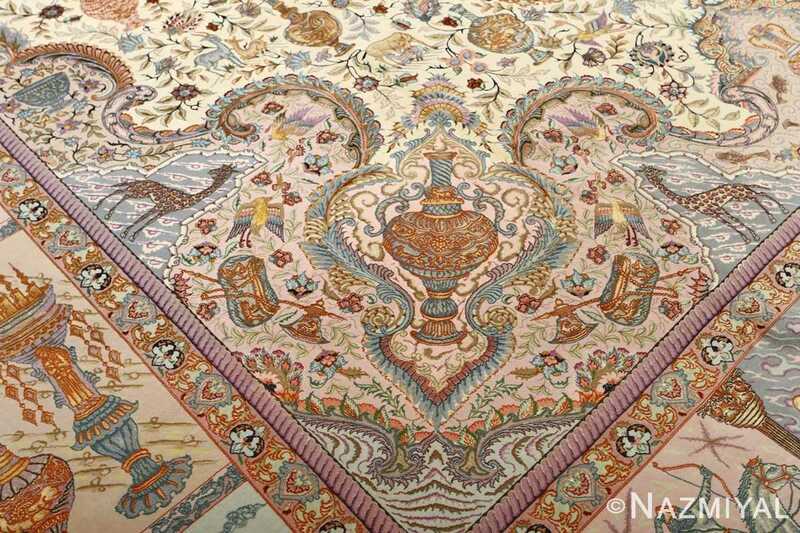 Layered in reds and golds with plenty of dark contrast, the shape, a diamond, with gently rounded sides and sharply pointed outer corners. 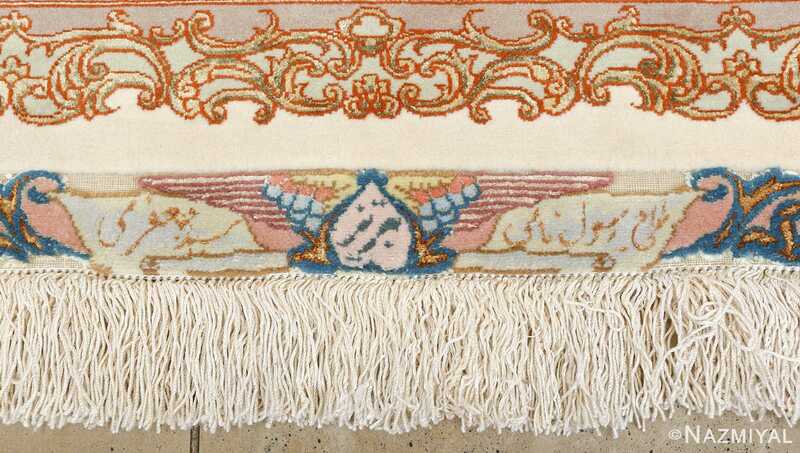 Haloed with flames and pale golden filigree accents, the medallion of this vintage Persian rug expands into a surrounding ivory space brimming with botanical decorations. 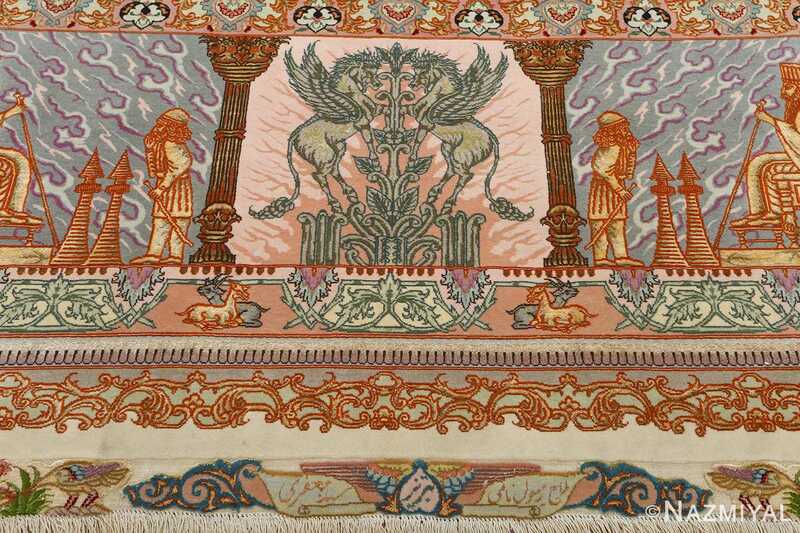 Symmetrical and reflected, the pattern is replete with ornate vases, chariots and jewelry boxes, an opulent environment balanced by more natural themes of flowers and springing deer. 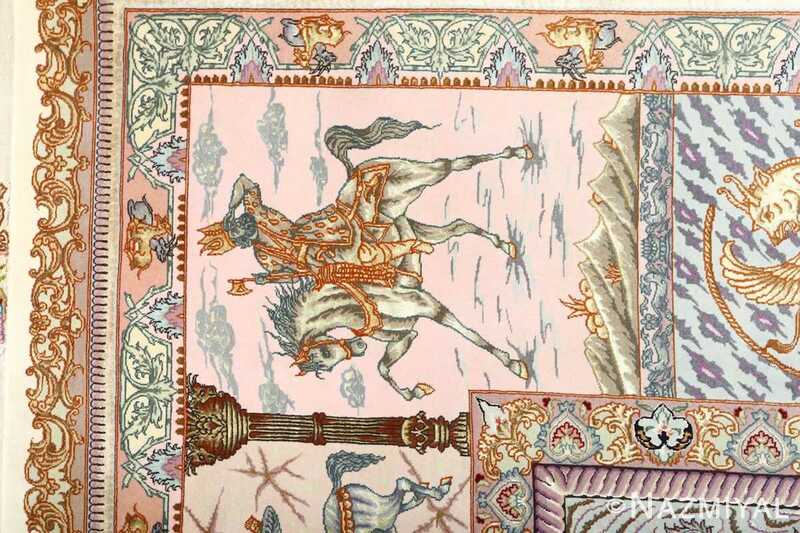 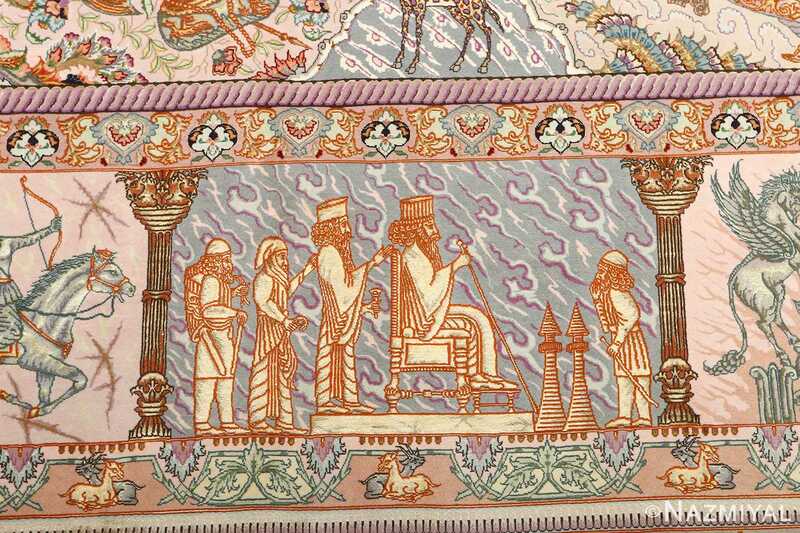 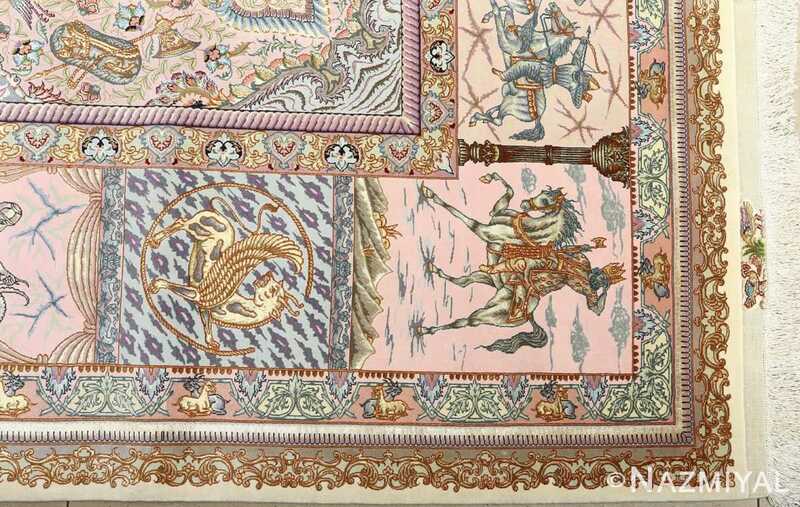 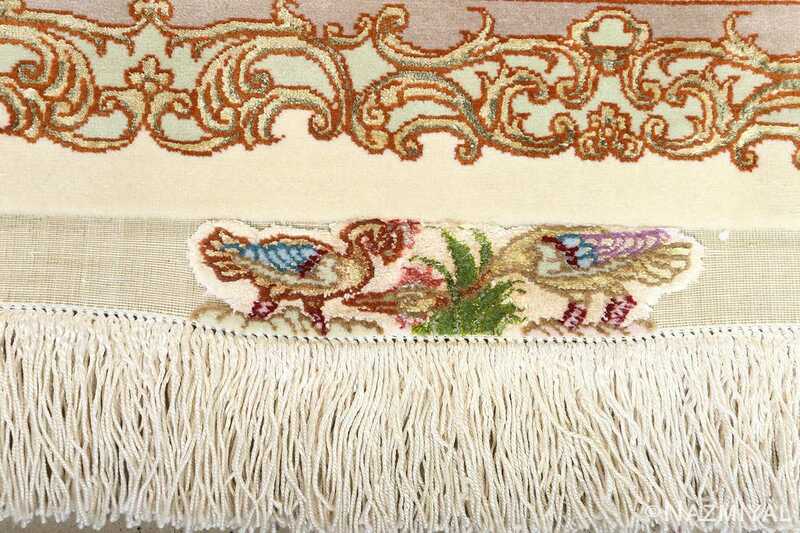 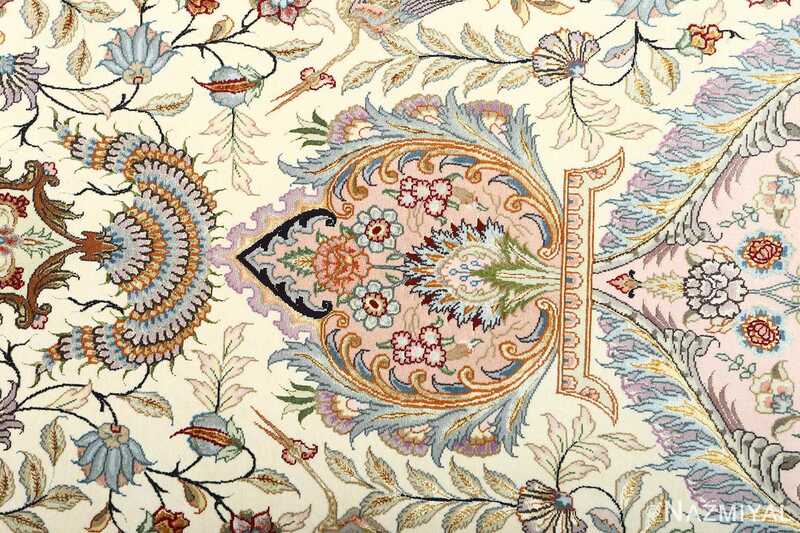 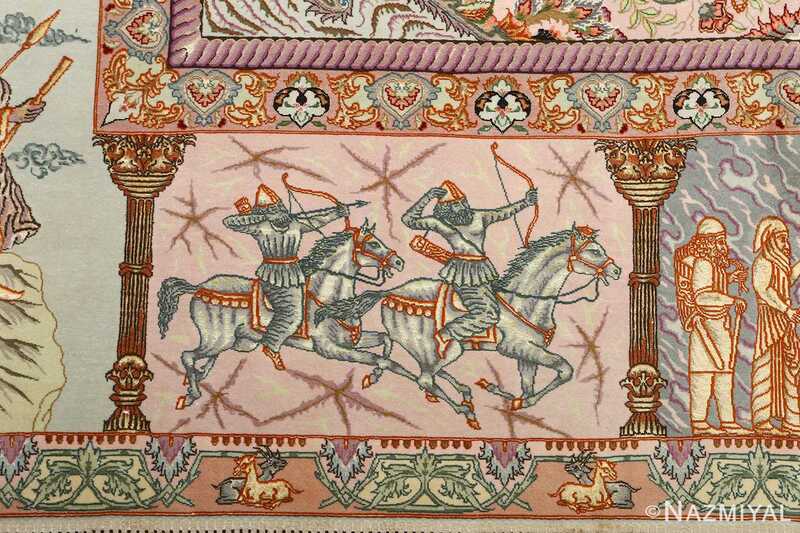 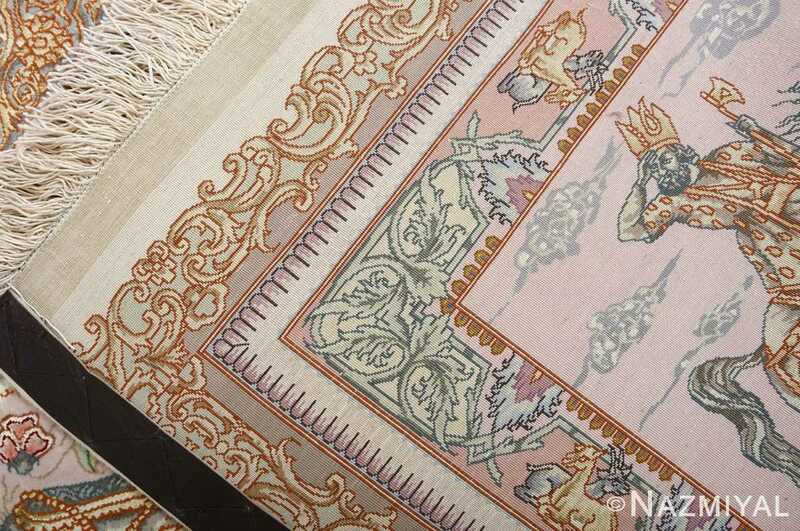 Lavish panels including hunters and kings decorate the border like a royal tapestry.